In the final volume of The Berrybender Narratives, Tasmin and her family are under arrest in Mexican Santa Fe. Tasmin, who would once have followed her husband anywhere, is no longer even sure she likes him, or knows where to go to next. Captain Clark, of Lewis and Clark fame, is puzzled by the great changes sweeping over the West, replacing red men and buffalo with towns and farms. Jim Snow, Kit Carson and one of Lord Berrybender's many illegitimate offspring make their way back to Santa Fe. But even they are unable to prevent the Mexicans from carrying the Berrybender family on a long and terrible journey across the desert to Vera Cruz. Beset by Indians and hounded by their Mexican guards, the Berrybenders endure all the horror of the Jornado del Muerto -- the legendary Dead Man's Walk. The Mexican commander of the party falls in love with Tasmin, with unhappy consequences. Starving, dying of thirst, they finally make their way to New Orleans, where Jim Snow has to choose between Tasmin and the great American plains. And after all her adventures, Tasmin must finally decide where her future lies. I differ with the previous pan of the series as a whole. While this last leg of the Berrybender series is somewhat lackluster, I very much enjoyed the previous books and would recommend them. No, they're not Lonesome Dove, but heck, what is? The Berrybenders are tons of fun if you enjoy dysfunctional families, mouthy women, and the English gift of understateemnt. They make my family seem normal and I'm sticking with them! This is the first of McMurtry's series starring the tedious, cloying,silly Berrybender family. I read the last one first; so I can save you the trouble. 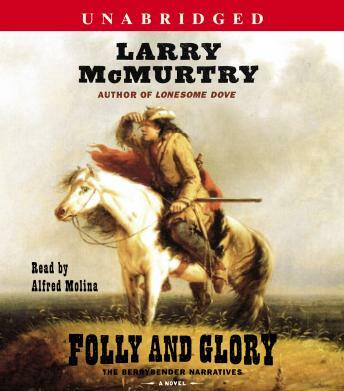 McMurtry bombs with this series. Save yourself the time, trouble, and energy; read Lonesome Dove again instead.